Irina Pogonaru of Photoliu is a frequent visitor to the La Maison showroom to select fabrics. Later, as a student of one of my designing workshops, I got to know Irina as a talented young lady with wonderful ideas. Those ideas are reflected in her collection of chairs and armchairs. 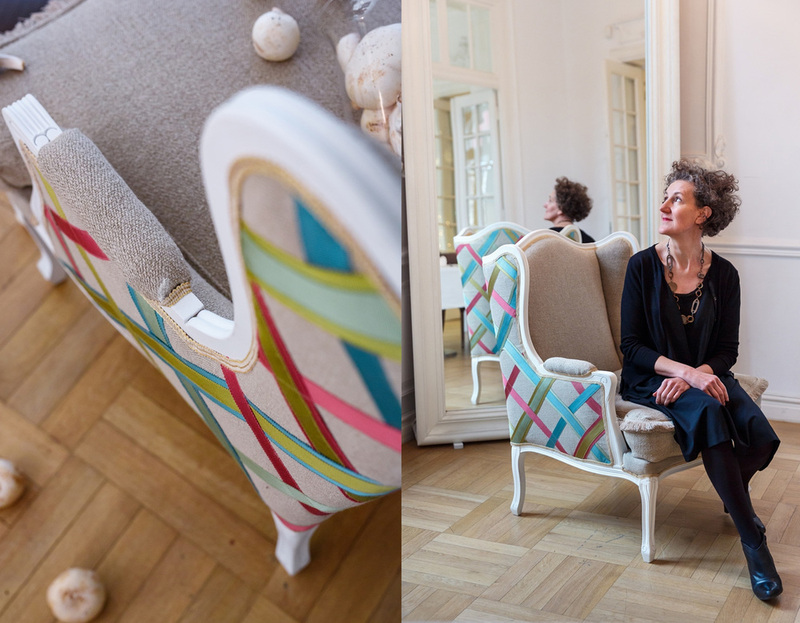 One day Irina invited me as a guest designer to offer a "Martine Claessens touch" to one of her armchairs. 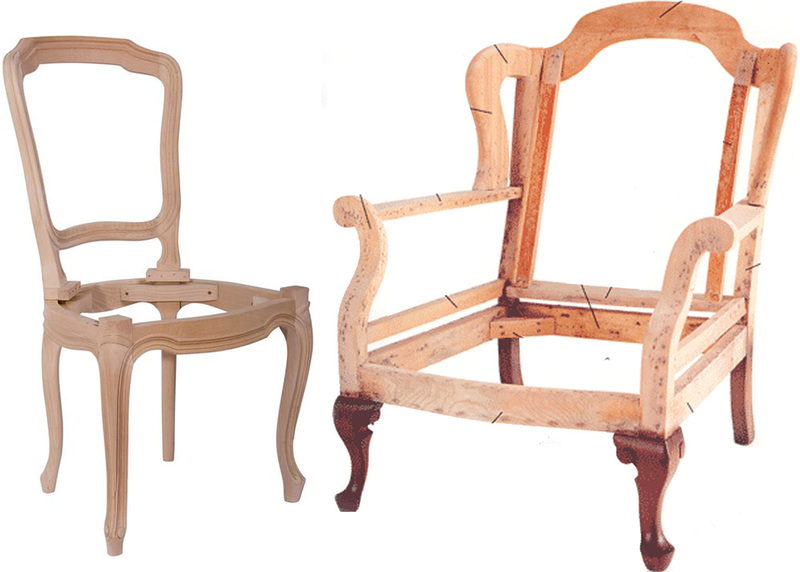 Photoliu.com was launched in 2009, a start-up focusing on the design and production of custom furniture. Irina's aim is to contribute to promoting customisation and authenticity in a world of mass-production. Photoliu makes furniture in various styles, customising pieces in the most wide-ranging ways and up to the smallest details. The armchair, waiting to get a different look was a Bergere type Louis XV. I decided to work with a simple grosgrain ribbon in two widths and four colours from Houles. Houles, a French family-owned company specialised in refined trimmings, was founded in 1928. Originally, wholesaler of upholstery supplies, Houles has since developed its business to specialise in creating and editing trimming collections, and is now well-known worldwide. 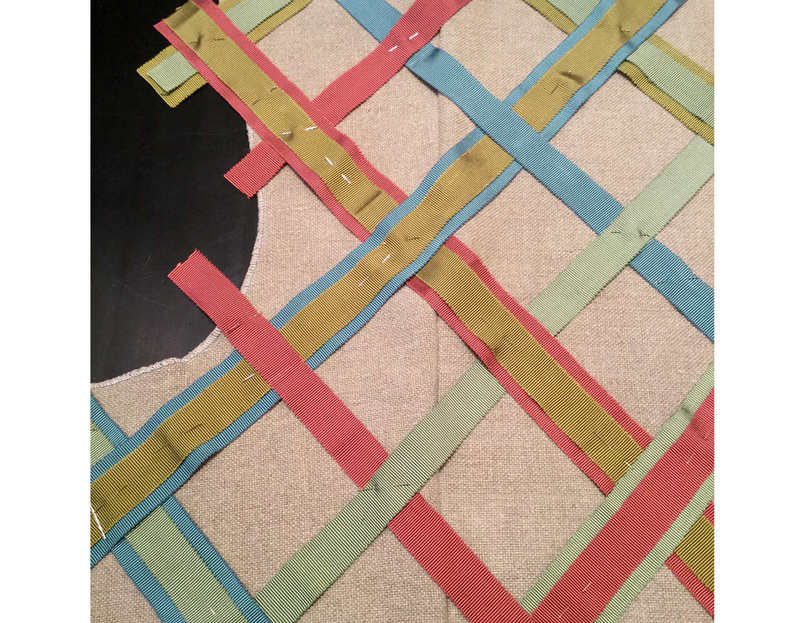 I started to weave the ribbons to develop the couture appearance and this gave birth to "Ribbon-Couture"
For this armchair, I chose fabrics of neutral colours: two types of linen from Designers Guild. 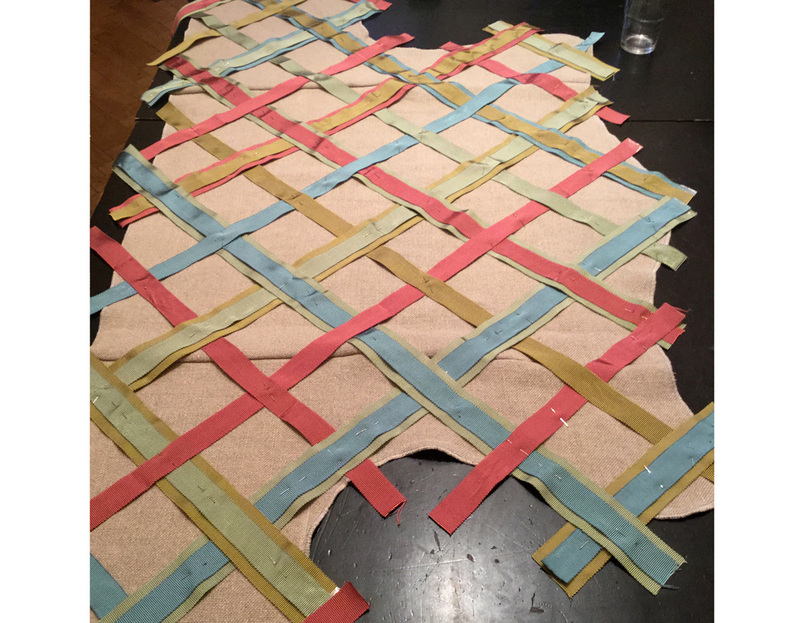 A heavier linen with a larger structure through the weave for the inside and for the outside a lighter linen with an effect of vegetable dying. Established in 1970 by Tricia Guild, Designers Guild designs furnishing fabrics and wall-coverings. Their philosophy is to combine creativity and innovation with the highest levels of quality. With my love for colours and my fashion background, the Ribbon-Couture came to my mind. This was a great new experience, thank you Irina and Maria for thinking of me when you decided you wanted to develop some special chairs with designers.